Champagne Moscow Mule - Home. Made. Interest. Make a toast in style on New Year’s Eve or Valentine’s Day with a little bubbly and ginger. 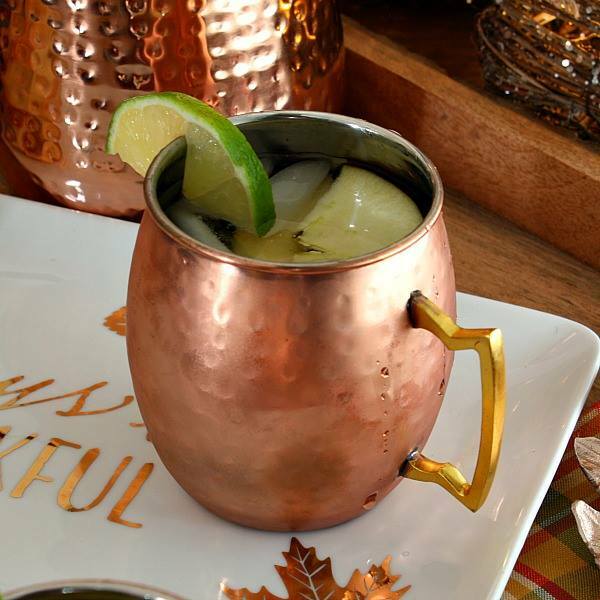 This Champagne Moscow Mule is going to start the new year off right! If you haven’t noticed yet that I have a deep appreciation for Moscow mules and any variation on them. 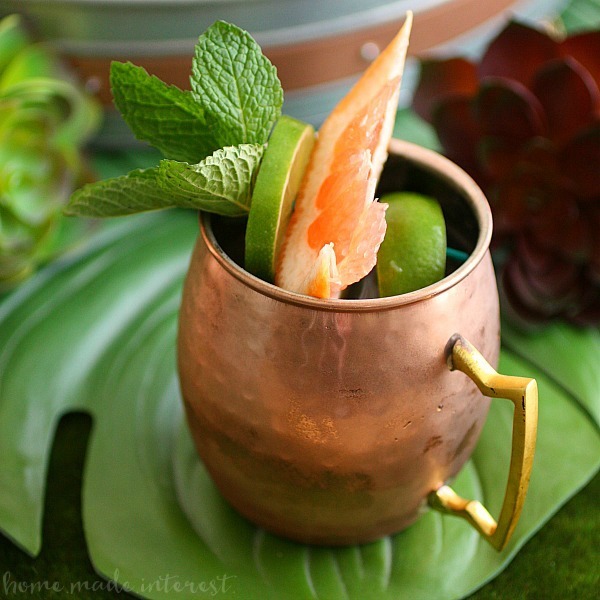 Maybe it’s the ginger, maybe it’s the citrus, or maybe it’s the beautiful copper drinkware you serve them in. Whatever it is I’m hooked. 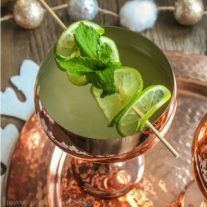 I shared my Citrus Moscow Mule for Father’s Day, and an Apple Cider Moscow Mule this fall, so when it came time to plan for holiday parties you know I had to step up my game. Say hello to my Champagne Moscow Mule. This is bubbly drink is going to be a hit for New Year’s parties everywhere. It pairs well with mini crab bites, red chili seared scallops or sun dried tomato pesto garlic bites for a classy holiday party menu. 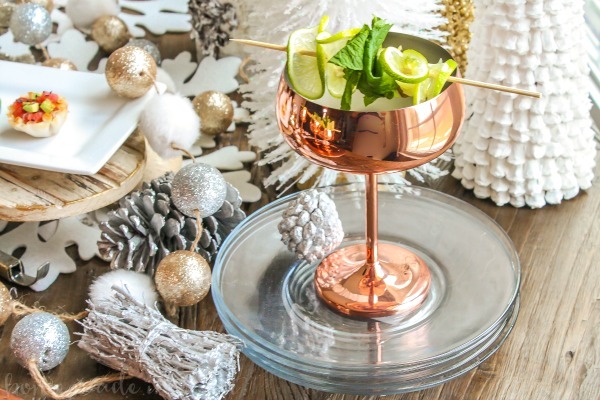 Along with my Moscow mule obsession, I have fallen in love with all the copper serveware. I’m not going to lie, these copper champagne glasses were what led me to my bright idea of making Champagne Moscow mules for New Year’s! Another reason to party and buy shiny new things? Sold! Copper mixed with rich jewel tones or copper mixed with metallics look absolutely gorgeous. I’m hoping that the copper trend sticks around for a bit. 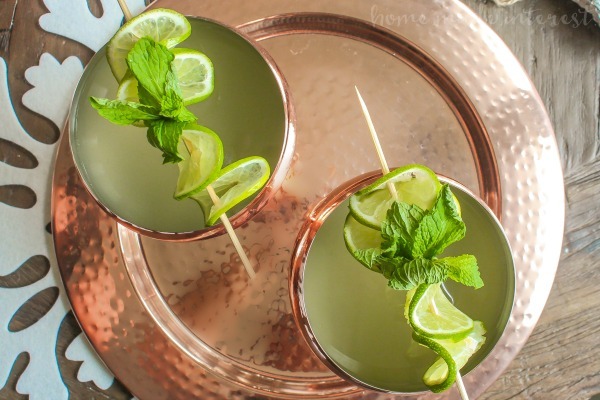 These Champagne Moscow Mules are easy to make and don’t require expensive bubbly. Chilling your vodka always helps. Make sure you have simple syrup on hand rather than having to make it yourself. You will need to zest the ginger very fine, I use my microplane zester and it makes all the difference. 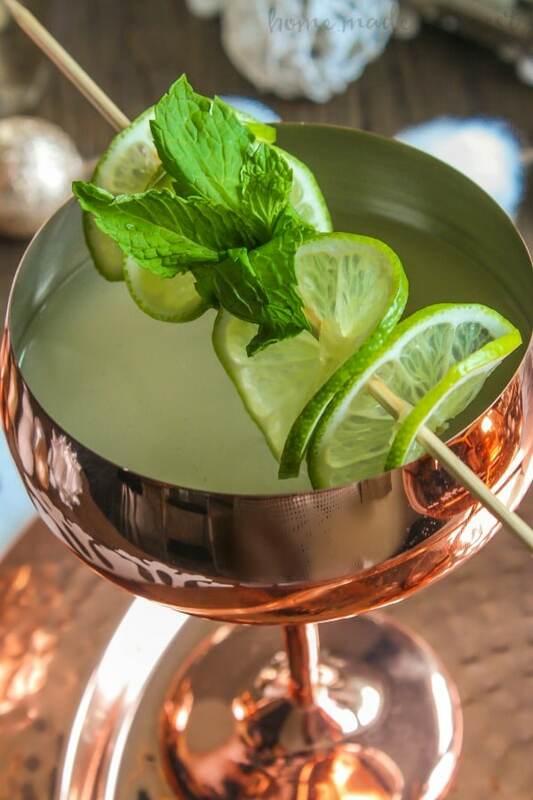 The key to this Champagne Moscow mule is the cocktail shaker. You have to shake your little heart out. Make sure it is cold! Once you’ve made the first part of the mule, you can finally top it off with your favorite bubbly and garnish with a lime and mint skewer. Bring in the New Year with your favorite bubbly and ginger. I twist on a classic Moscow mule. Combine chilled vodka, simple syrup, grated ginger, and fresh lime juice in a cocktail shaker with ice. Shake, shake, shake until the cocktail shaker feels frosty. Strain into your glass (preferably copper) and top with champagne or sparkling wine. Garnish with lime and mint skewer. So now that you have your New Year’s party drink, what are you making to serve your guests? You know me, I always go with bite size appetizers. A good mix of hot and cold apps. 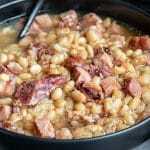 Some that can be made ahead of time are great. I’d rather spend most of the week preparing than stressing on the day of the party! Remember to have fun and most of all party responsibly!